Darwin’s family looked after a children’s center that belonged to the Foundation, in exchange for a free place to live. The mother worked as a maid, the father abandoned the family. Darwin first went to the children’s center, then to a different social center, because he didn’t have a place to go after school when his mother was at work. When Darwin started high school is when he first came to the Refugio. He was always respectful and communicative, a good student and he loved soccer. In the Refugio he received food, medical and dental care, and help for his studies. 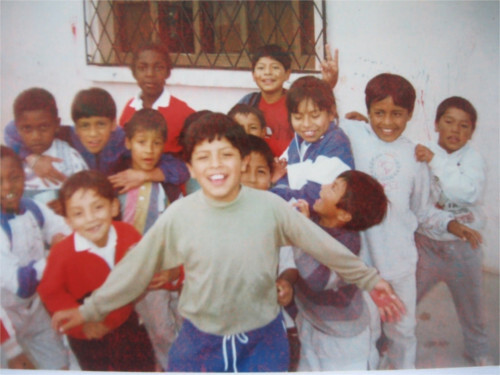 As he loved soccer, he signed up for the Professional Soccer School of one of Quito’s clubs in the south of the city. He reconnects with his father and splits his time between school and soccer, which is why he no longer was able to attend the Refugio. 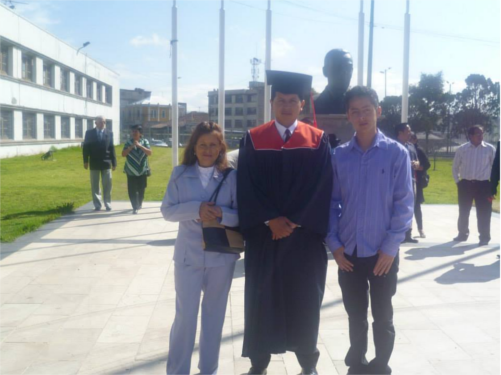 After high school, he went to university thanks to a scholarship from the Refugio. He graduated in physical education. Today he works in the Refugio as an educator and puts all of his experiences and knowledge into practice with the children. He is married and has a wonderful daughter who accompanies him to the Refugio. He also supports his two wife’s two little sisters who are orphans.